The problem is.. he needs a name! Let us know what your chosen name for this guy should be. Come 4pm, we'll choose a winning name, and the one who comes up with it will win a signed snowman, 2 Bonds, plus their chosen name immortalised in RS Lore forever. 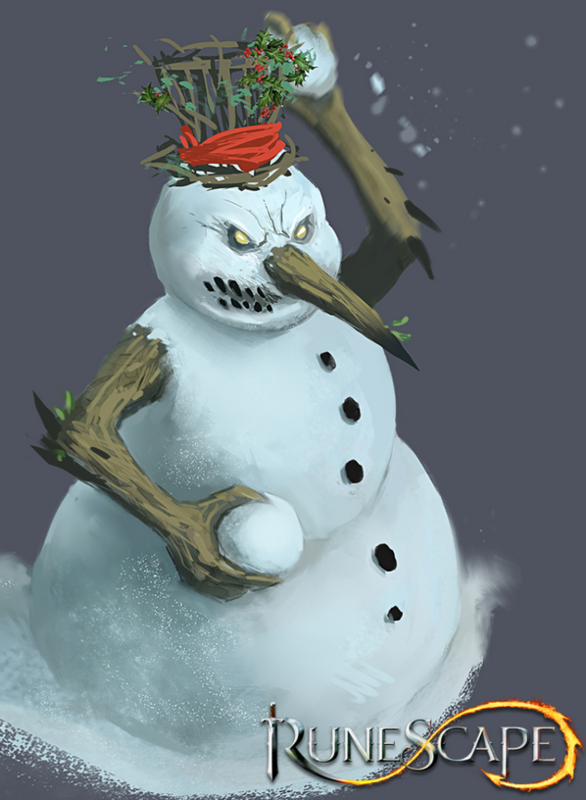 I eagerly await your entries for this evil, snow-throwing monster! He looks pretty friendly as far as I can tell. Frostbite, the evilish cousin of Frosty the snowman. He *will* make you love him or he will bombard you with snowballs. Edit: Or Blizz the snowman. It has a better ring to it than Blizzard, a snowstorm. Tickling feathers are not optional.